An economist who has been predicting a significant oil market disruption when new rules on the environmental quality of the fuel that powers ships is calling for "circuit-breakers" to stem any sort of spike in the price of diesel. The economist, Philip Verleger, is citing the impact on truckers and agriculture, and their political support of Donald Trump, as a reason it might happen. And if it doesn't happen, Verleger lays out a scenario in which to meet the concerns of those constituencies, the Trump administration takes radical steps. The new rule, known as IMO2020, requires all ships in international waters to burn fuel with a sulfur content no greater than 0.5%. That is significant less than what many ships burn now, and the expectation is that to meet those specifications they will turn away from what is known as bunker fuel to marine gasoil or marine diesel. That is expected to put a strain on the supplies of the supply of middle distillates, which includes diesel, jet fuel and kerosene and lift the price of all crude and fuels. However, Verleger, in his widely-read Notes at the Margin report, said he is skeptical that any such circuit-breakers can be implemented. He cites other instances in which environmental rules did spike the market--such as the adoption of low-sulfur diesel fuel in the 2006-2008 time frame and the subsequent spike in diesel prices that was larger than that of crude which hit its all-time high in July 2008--as a sign that "we suspect (the circuit breakers) will not occur." The results of no circuit breakers during that diesel spike "were predictable." 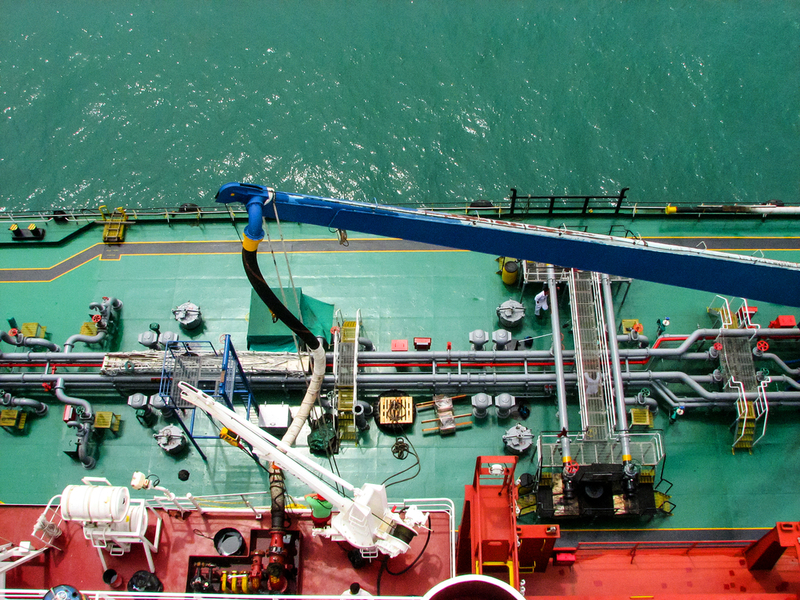 The circuit breakers he talks about could involve key bunkering areas like Singapore being allowed to temporarily allow the use of bunker fuel in violation of the new sulfur rules until the market calms itself. And the IMO2020 rules do have a circuit-breaker built in: fuel oil non-availability reports (FONAR) that can be filed to a country's environmental authorities that fuel complying with the rule was not available. Verleger said he expected FONAR acceptance by governments to be minimal. It's his discussion of the presumed worldview of the Trump administration and its supporters in the trucking and agriculture sector that is most intriguing. It begins with the fact that the U.S., while still a net importer of all petroleum--crude and products--is a net exporter of products. In the most recent report of the Energy Information Administration, the U.S. had net exports of 1.368 million b/d of all distillate products, and total exports of 1.458 million b/d of all distillate products. The heavy-handed scenario that Verleger lays out involves the Trump administration limiting or banning exports of petroleum products "using the same laws invoked to impose tariffs on steel imports." "The United States is thus in a position to protect itself from a rise in diesel and gasoline prices," Verleger said. "It has the capacity to meet its own needs," based on the idea that if the country exports more than it imports, it has a surplus, and the surplus could be directed back into the U.S.
"The powerful export position of US refiners provides a means to curb price increases in the U.S.," he writes. "Skeptics who believe the unpredictable Trump administration would not act in this way because the US belongs to the IMO should rethink their views," Verleger writes. Meanwhile, Edmund Hughes, the IMO official managing the implementation of the program, told S&P Global Platts in an interview last week that "the expectation is that by far the majority will be using compliant fuel. If you're not doing that, you're creating bureaucratic barriers for yourself." "Hughes noted that 96% of the global fleet by tonnage is registered to a flag state that has signed up to MARPOL Annex VI--the IMO document setting out its rules on air pollution from shipping--and said ships failing to comply could lose their international certification, preventing them from operating as a commercial trading vessel," Platts said in its story. But Verleger says he could envision Trump simply withdrawing from the IMO should the price of oil spike. That presumably would allow the sale of non-IMO compliant fuel in U.S. ports, but a ship that sails out of the U.S. and into an area that is complying with the IMO rules--and the vast majority of this ships, if not all, will not be U.S.-flagged vessels--would then be in violation in other jurisdictions.